Chris Hemsworth aka 'Thor' recetly admired our country, India through a video message which was played at a fan-event on Monday. The event was held as part of a promotion activity for the final Avenger movie "Avengers: Endgame" in presence of the films co-director Joe Russo. Hemsworth stated in the video "What's Up Everybody In The Beautiful Country Of India? The Countdown Has Begun. 'Avengers: Endgame' Is In Cinemas Very Very Soon." He also stated, "Our Director Joe Russo Is Coming To Your Wonderful Country. I Have Shot There Myself And I've Told Him It's One Of The Best Places On The Planet. Sorry Couldn't Be There Myself, But You Guys make Sure you Take Care Of Him. And He Considers Himself As Someone Who Can Handle Spicy Food, So I've Told Him To Try Some Of That Rogan Josh, The Butter Chicken, Tandoori Chicken... Spice It Up For Him, See If He Can Handle The Heat. Lots Of Love guys, Enjoy The Film And Hope To See You Soon." 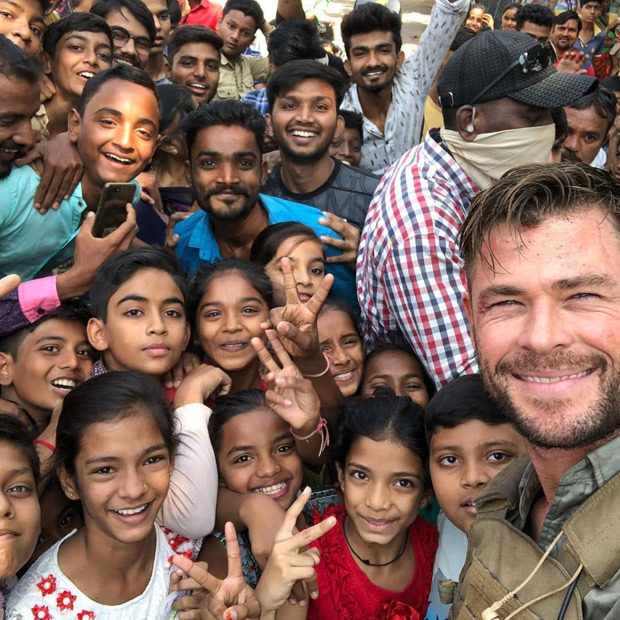 Last year Chris Hemsworth visited India to shoot for his Netflix project titled "Dhaka" where an Indian businessman hires a mercenary to find and rescue his kidnapped son. In the process Chris fell in love with the country and its people and even took pictures with his fans.